Apples and Pears provide an easy and delicious way to boost our daily fibre intakes; they are naturally fat-free and salt-free. Cucumbers are the wonderful low calorie vegetable indeed has more nutrients to offer than just water and electolytes. 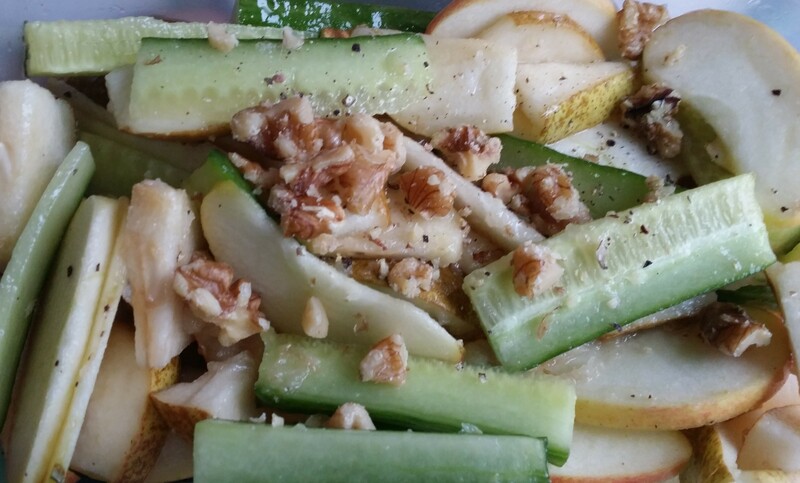 Slice apple and pear into thin slices and set aside. Posted on March 27, 2014, in Salad/Wraps, Soups, Salad and Wraps and tagged apple, cucumber, drchdietfood, pear, Salad. Bookmark the permalink. Leave a comment.